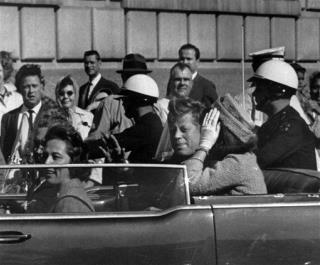 (Newser) – Think the CIA played a role in covering up the John F. Kennedy assassination? Now an important source agrees with you: the CIA. According to an article written by the agency's senior in-house historian, the CIA purposely held back information from the Warren Commission, Politico reports. John McCone, then the agency's director, apparently failed to tell the commission about agency plots to murder Fidel Castro (including ones involving the Mafia). So the commission never knew to ask whether Lee Harvey Oswald had Cuban comrades dead-set on retaliating against the US president. The commission famously concluded that Oswald acted alone, spawning decades of conspiracy theories involving Castro, the Mafia, the CIA, the Soviets, and even President Lyndon B. Johnson. "Ninety-nine percent of the conspiracy community are not, of course, writers and authors. These conspiracy “buffs” (as they are frequently called) are obsessed with the assassination, have formed networks among their peers, and actually attend conspiracy-oriented conventions around the country. Though most of them are as kooky as a three-dollar bill in their beliefs and paranoia about the assassination, it is my sense that their motivations are patriotic and that they are sincere in their misguided and uninformed conclusions. I cannot say that about the conspiracy authors." As it happens, Castro is still alive. Maybe someone should go ask him. Better hurry though. Keep beating this dead horse. oswald did himself and get over it. Anyone could have made those shots. Easy at 85' and downward. I wouldn't have missed the first one but maybe shakes. Anyway I lived thru it. I saw what happened it was an east deal. Open car, 85', moving very slow, upper position, no sweat.